Hey everyone! Today I've got a skincare product to share with you. 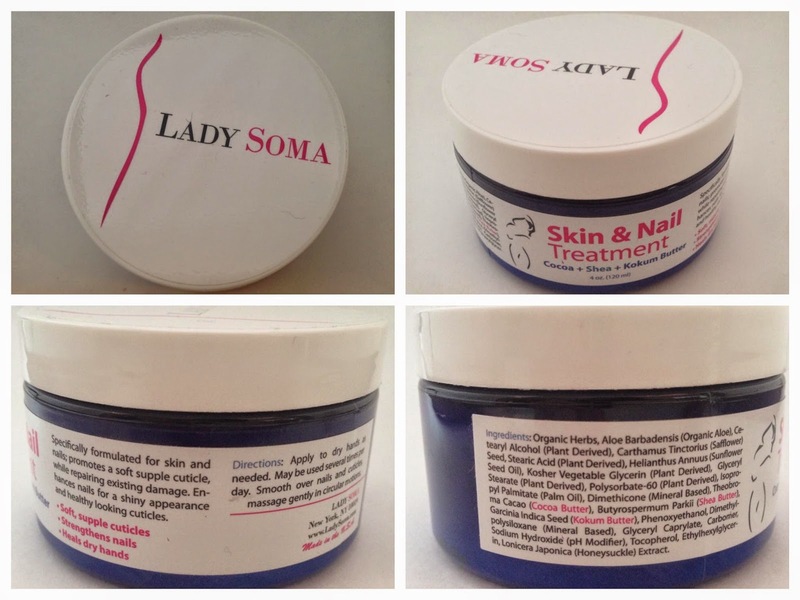 I was kindly sent the Lady Soma Luxury Skin & Nail Treatment for review purposes and I've been putting it to the test. This product contains organic ingredients and no harmful chemicals or preservatives. It is hypoallergenic, gentle, and can be used for all skin types. As some of you may know, I have extremely sensitive skin and eczema on my hands so I'm always careful about what products I use. First of all, I love the scent of this lotion. It has a light scent, but it's not overpowering. It is a little on the thick side, but to me it feels really luxurious. I personally would use this before bed, as my hands were a little bit greasy for a few minutes while the product absorbed. Hours after use I noticed that my cuticles looked moisturized and my hands still felt soft. I love how moisturizing this stuff is! I will definitely be keeping it on my nightstand as a part of my nightly routine. FYI, you can use this on your hands AND your body! I also found a little surprise lip balm in my package! This is the Lady Soma Lady Mint Tingle. I actually love the packaging a lot more on this than the lotion. This lip balm feels amazing! It has that same minty tingling feeling as my Burt's Bees but it's way more moisturizing. This balm is definitely going straight in to my purse. Overall I am super impressed with this brand. Both products I received are fantastic. 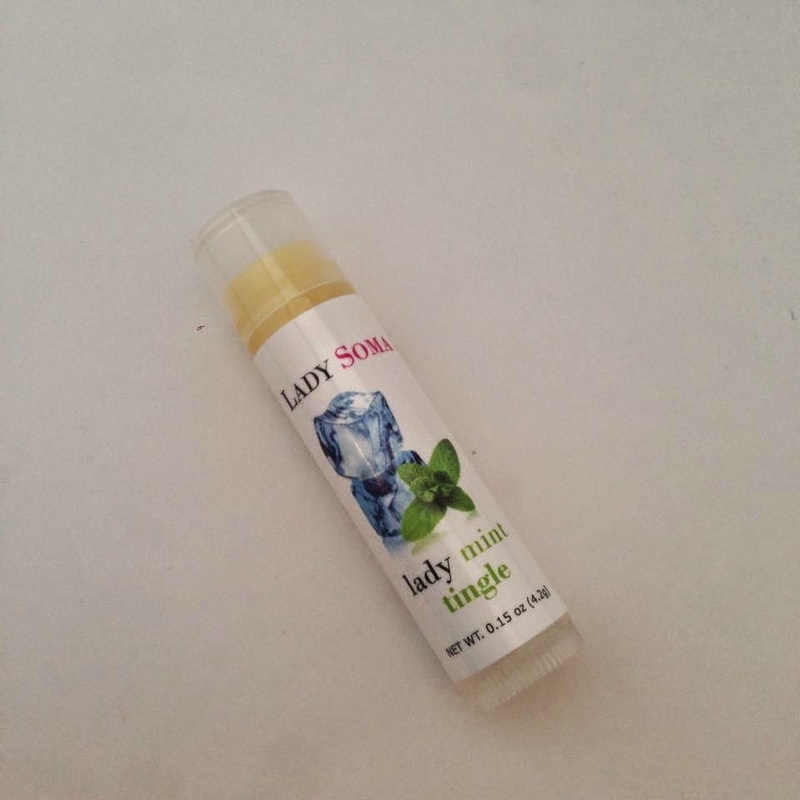 To get more information on Lady Soma or to pick up one of these awesome products head on over to http://www.ladysoma.com. They've got a bunch of other treatments for face and body as well.